Ignite imagination, creativity and joy for children through hours of play with an irresistible range of quality manufactured toys. Baby Brands Direct offers toys from leading nursery and toy manufacturers including Mattel, Early Learning Centre, Golden Bear and Flair. 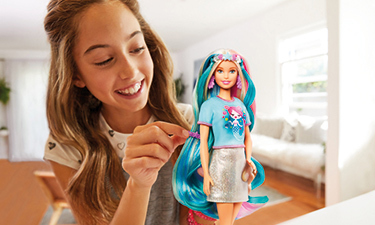 Licenced character figures and playsets include TV hit series Shimmer and Shine and TV advertised toys based on webisodes from the Enchantimals and Bush Baby World. There is also a hearty collection of Barbie; the most famous fashion doll in the world, alongside her popular play accessories. Engaging toddler dolls, styling heads and play accessories complete the offering of toys available wholesale to trade.